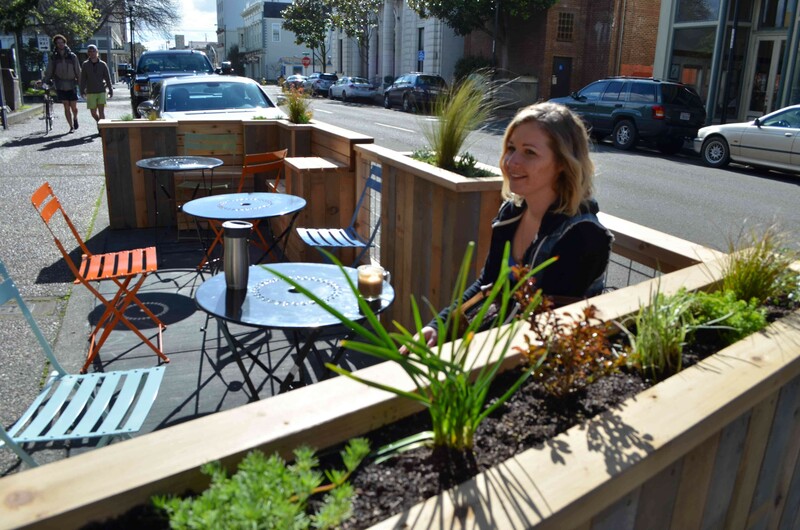 Jessica Cenotti sips on a coffee in the parklet outside Ramone's on a rare sunny February afternoon. 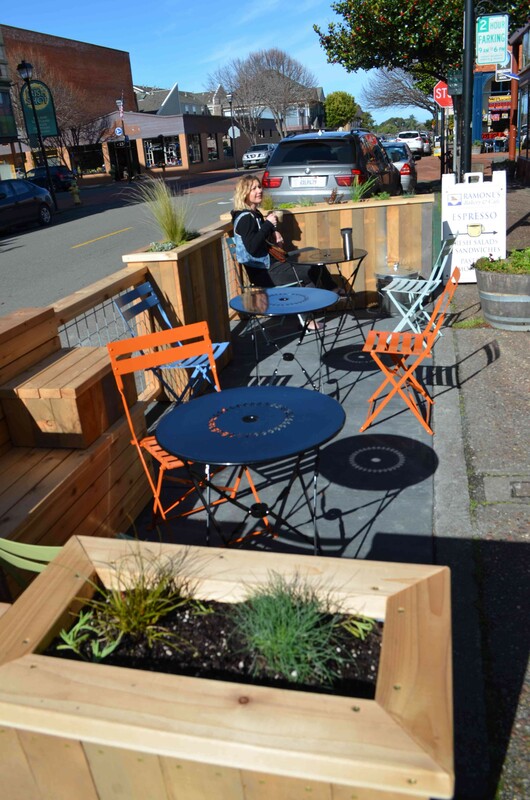 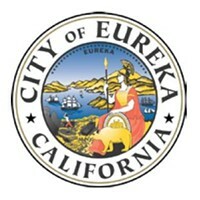 Old Town Eureka's first parklet is prime for the sitting — well, uh, after this afternoon's rains stop. 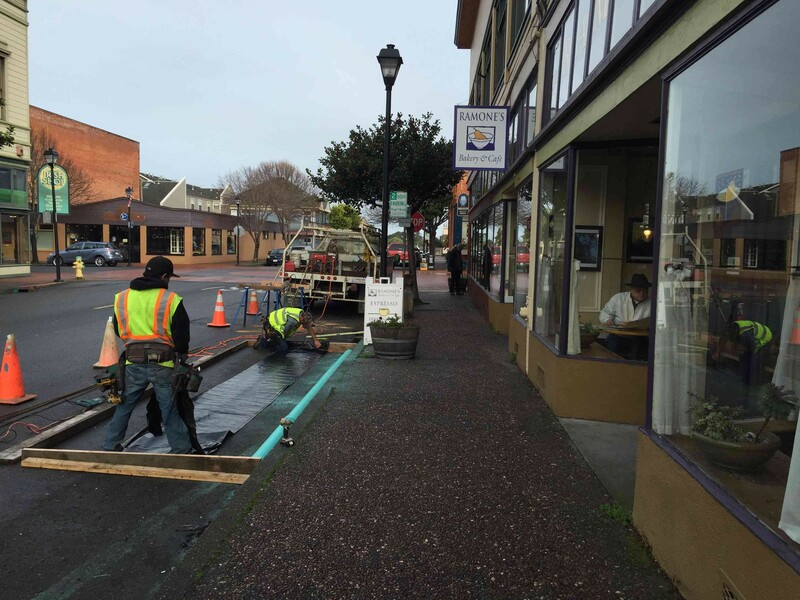 After a slower-than-expected permitting process and rain-delayed construction, the one-parking-spot space in front of Ramone's is ready for beverage sipping and general relaxation. Enjoy accordingly. 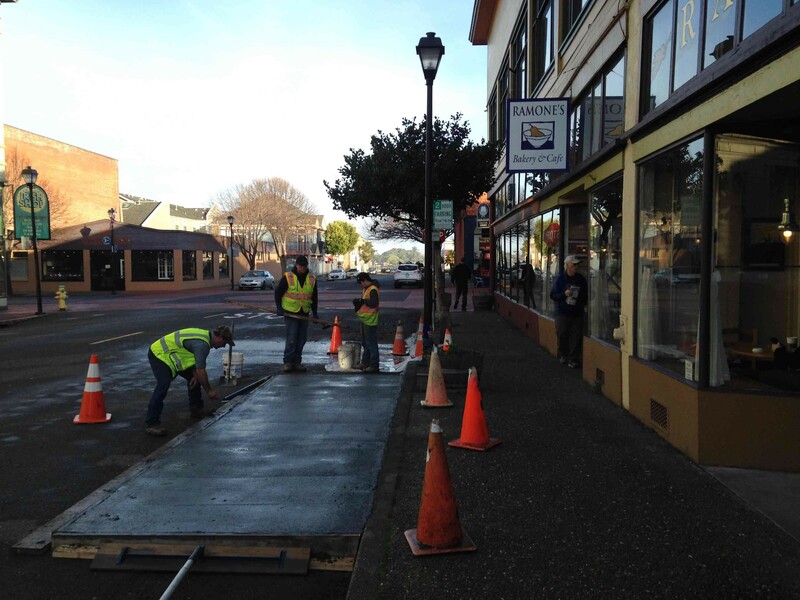 Construction crews measure out the parklet's dimensions. 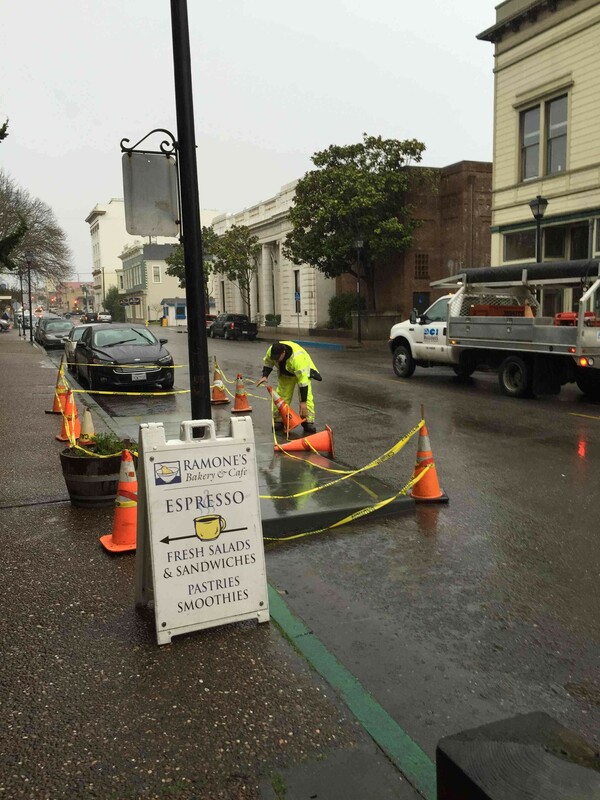 Not much to be done during rain except stand the cones back upright.